The school management system we use at IPS is Compass. Compass provides the school community with a range of facilities which streamline communication and provide enhanced access to information. As this is our first year we will continue to implement further features in steps as they are developed. Parents play an important role in this initiative. 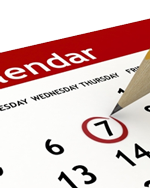 It is essential that you log in at least once a week to keep up to date with future events and access the news feed. Change of email addresses and mobile phone numbers can be easily updated as we will use these to send communication emails to families. Approve and pay for your child’s participation in excursions/incursions and other special events (these are electronic permissions – there is no need to print off permission slips). You are able to pay School Fees (compulsory payments, digital technologies co-contribution and voluntary payments) online. Give permission for your child to attend local excursions, to have photo/audio/video recordings taken and used at school, and to agree to the ICT / DLT computer usage. 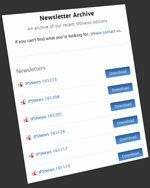 Newsletters will be available online and a link sent to via Compass. The school will post news to remind you about events and activities at the school. 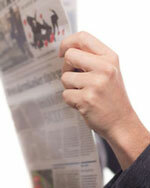 Eventually your news feed will be customised, showing only the information relevant to you and your children. absences. Each family listed in the school administration database has a unique login for Compass. Any questions or problems just contact Lisa at the office or by email to the school. OUR SCHOOL TUCKSHOP IS NOW ONLINE! No more paper bags or loose coins! You can now order your kids’ lunch with ease, no cash required it’s all pre-paid online. It’s so easy even your kids can do it! 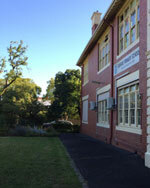 Ivanhoe Primary operates an excellent Out of School Hours Care (OSHC) program. Before School Care is conducted each school day between 7.00am and 8.45am with Breakfast provided for children who arrive before 8.00am. After School Care is between 3.30pm and 6.00pm with Afternoon Tea provided. 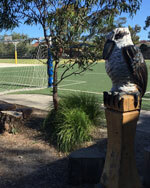 The Ivanhoe Primary School community is vibrant and welcoming. If you'd like more information on how to join us, please read on, and feel free to contact us for more information. Joining Foundation Class (Grade Prep) at IPS next year? This is an overview of our Transition and Foundation programs. Please contact us if you have further queries. At Ivanhoe Primary School we encourage parents to get involved with the school as much as they can whether that is through the formal involvement of the School Council, as a sub committee member, participation in the classroom helpers' program or as member of the parents' association. 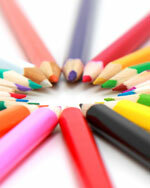 School newsletters are a great way to find out about activities you can be involved in. The School Council is responsible for assisting the Principal and staff in the organisation and development of the school, in particular it is responsible for offering advice on the school’s educational programs and administration and expenditure of school funds as determined in the annual budget. The overseeing of the long-term development of the school and the current maintenance of facilities is a task that rests primarily with School Council. The Council of this school comprises 10 members elected by parents of the school and 4 members of staff. The Principal is a member by right of office. Elections for school council are held in February each year. 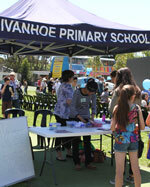 Ivanhoe Primary School’s Fair brings together our school and the surrounding community in a genuinely homegrown celebration of our school with food, music, amusements, and market stalls. 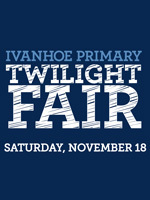 The 2019 Ivanhoe Primary School fair will take place on Saturday, 16 November 2019. The Fair’s mission is to showcase the many talents and abilities of our diverse school. The fair also aims to strengthen ties within the community while raising funds for the continued enhancement of Ivanhoe Primary School’s educational resources and facilities. Every dollar raised from the Fair has a true and lasting benefit for the students at our school. The workforce behind this large-scale event is entirely volunteer-driven – comprised of parents, staff and students – and relies on the generous support from the local business community. Our fair is an ongoing partnership between our school community and Fair Supporters - often local businesses. The success of each Fair is a reflection of the hard work from our volunteers and the support from local businesses.